You’ve heard many of the stories, and seen the pictures. Animals are abandoned and abused. They are the target of all sorts of crazy and tragic experiences. Even with the harsh realities of their existences, it’s important to remember that the lives of these critters can be turned around. You’ll love to hear the stories of those animals when they are discovered and given a cute purpose in life, even a job where they can make us all realize how important it is save the abandoned and abused creatures. Each of us has the opportunity to make a difference in the lives of those critters. 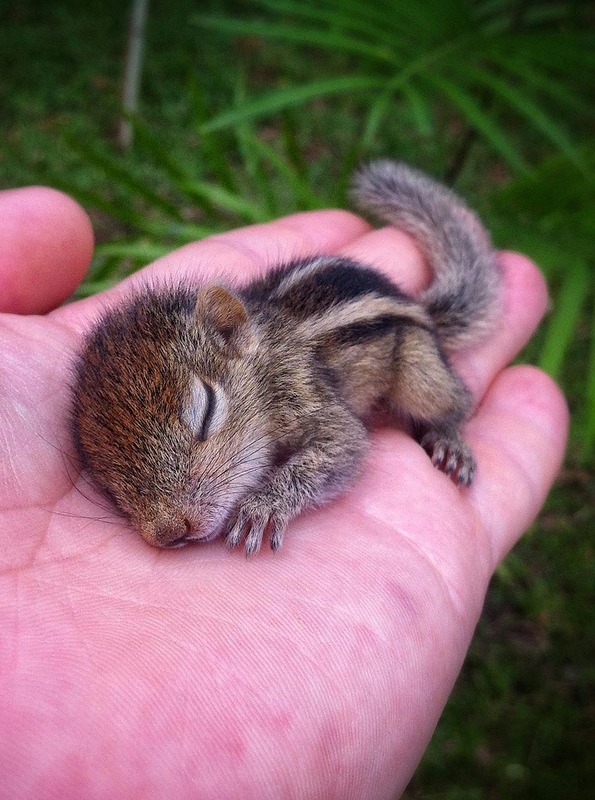 Rob, a Sri Lankan palm squirrel, was abandoned by its mother, though it’s not clear why. What is clear is that the little guy was nearly dead by the time Paul Williams, a filmmaker working with BBC Wildlife, found him. He looked dead, only registering life by a little twitch, barely breathing as Williams walked by. He wrapped up the baby and then left the critter in a tree nearby. When he returned to check on Rob, he was still alone (his mother hadn’t come to rescue him). Then, Williams used thermal imagining to look for a nest, without success. Rob eventually became part of the film crew, as he was constantly being fed and cared for by Williams and the rest of the group.